Jana Sena party leader Pawan Kalyan is holding public meeting – Seemandhra Hakkula Chaitanya Sabha at Anantapur and this is live streamed on YouTube. Power Star Pawan Kalyan Jana Sena Party Chief After the grand success of Tirupati and Kakinada public meetings, Pawan Kalyan is poised for yet another massive public meeting. This time, it’s in Anantapur on November 10 as part of his plans to hold public meetings in every district on the special category status (SCS) to Andhra Pradesh. 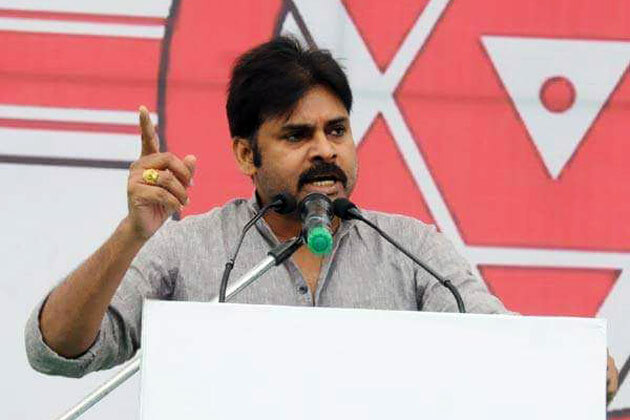 Party’s treasurer M. Raghavaiah on Monday said the Jana Sena chief was of the opinion that Anantapur district, which often faces drought, would be beneficial with the special category status. Pawan Kalyan’s meeting comes at the time when Special Status issue is taking a natural death in people. It has to be seen how far he is successfully in pushing it to people once again. Political Analysts say, These public meetings were part of Pawan Kalyan’s strategic move. He is focusing on strengthening Jana Sena in all the districts of AP. Be the first to comment on "Watch video of Pawan Kalyan’s Public Meet In Anantapur"